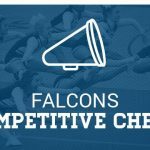 Girls Varsity Competitive Cheer · Feb 12 Cheer Wins 4th Invitational! 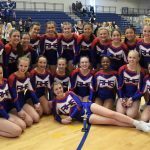 Girls Varsity Competitive Cheer · Jan 30 Cheer Teams Sweep Dragon Invitational! 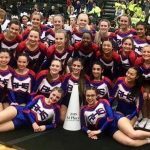 Congratulations to the freshman, JV and Varsity Cheer teams on their wins at the Lake Orion Cheer Invitational. Varsity narrowly defeated Stoney Creek en route to their 3rd tournament championship this season. 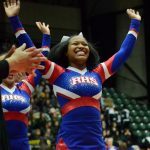 Rochester High School will be honoring our state champion competitive cheer team on Thursday, April 20th, at 7:30am in the high school mall. You can view the ceremony live on Rochester Athletics facebook page. 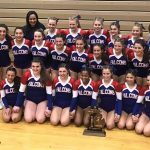 The Falcons not only won the state championship for the second straight year, but also captured regional, district, and OAA-Red championships.